As part of our continued commitment to our customers, we offer an excellent repair service to all, regardless of where you bought your electrical appliance. Our sophisticated team have solved many kitchen appliance repair problems and could save you the cost of purchasing a new appliance. 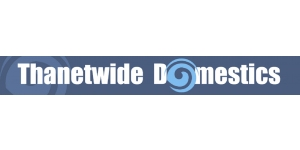 At Thanetwide Domestics, we charge a £25 + VAT fee to come and have a look at whatever problem you might be having. If you go ahead with the repair (or a subsequent purchase if your appliance is non-repairable) then we reduce your repair / purchase cost by the £25 + VAT you have already paid us. If you are having problems with your appliance, get in touch and we can send a qualified engineer to see you as quickly as possible to repair it or quote. We repair all kinds and brands of washing machines, tumble dryers, dishwashers, fridge freezers and cookers. We specialise in Samsung repairs as our engineers are the agents for Samsung under warranty in Kent. If the repair cost is not viable to proceed, we offer a wide selection of new appliances. These are very competitive online prices as we are part of the Euronics buy-in group. We offer a fully-reimbursed call-out fee if you go through with the repair or buy a replacement. We look to offer a ‘same day service’ in Kent 90% of the time as we know how inconvenient it is for your machine to have a problem. We also offer reconditioned machines, please contact us for more information.